Seyferth Blumenthal & Harris LLP (SBH) is pleased to announce that Alex Aguilera and Nick Seacord have been named partners at the firm, effective Jan. 1, 2019. 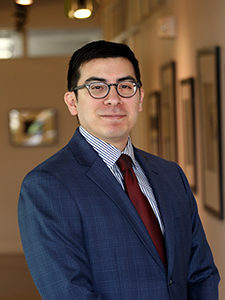 Aguilera and Seacord joined the firm in 2013 and have since dedicated their practice to employment litigation and counseling matters, as well as related business litigation. Aguilera is a skilled litigator who partners with clients on employment litigation and counseling matters. He represents large and small companies around the country in all stages of litigation, working across a wide range of areas in employment law. In particular, he regularly works with clients on human resources counseling, wage-and-hour claims, discrimination/retaliation/harassment disputes, and noncompete litigation. In addition, Aguilera counsels business leaders on a variety of important issues, including employment agreements, policies and procedures, reasonable accommodations, terminations, discipline, and other individual employee issues. Repeatedly recognized by Missouri & Kansas Super Lawyers as a Rising Star, Aguilera frequently speaks and writes on topics of concern to the business community. For instance, he was recently featured as a contributor to Law360 as an Expert Analysis columnist and has presented to groups on labor and employment issues with KCMBA and at the KU School of Law annual CLE. Seacord has built his counseling and litigation practice in a manner in which he is able to confidently advise clients at any state of the employment relationship. He has handled cases at every stage of the litigation and appellate process and has experience with cases involving discrimination and harassment, retaliation, wrongful discharge, noncompete issues, collective actions related to wage and hour claims and contract disputes. 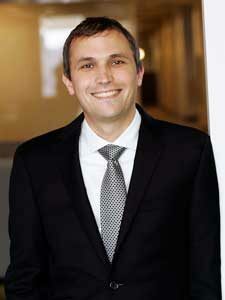 Prior to joining the firm, Nick had the unique experience of working with the Honorable Robert E. Larsen, Magistrate Judge for the U.S. District Court Western District of Missouri, and with the Public Interest Litigation Clinic, where he assisted in the appellate representation of individuals on death row. Seacord has been named a Missouri & Kansas Super Lawyers Rising Star each year since 2014.